Baluch Khan (Belooch/Beludge/Ali Belooch/Billoch/Ali Blooch) was reported as being from Mahadpoor in the Punjab (Mahadpur or Madhopur in the Punjab, India). Bonyhady (1991) believes his family name indicates he was from Belochistan. In a letter written in 1863 Baluch referred to Hassan Khan as his 'brother'. As Khan came from Kelat in (Qalat in the Kalat District, Balochistan, Pakistan) it is likely that Baluch was also a Belochi from Belochistan. Dr Beckler described him as a Parsee (Parsi). He has also been reported to have been a Pathan from Peshawar. Baluch arrived in Australia in June 1860. He traveled here with George Landells and the imported camels. He was appointed to the VEE and traveled as far as Balranald where Burke dismissed him, then reinstated him. He remained in Menindee as part of the Pamamaroo Depot party. In 1861 he was member of Howitt's Victorian Contingent Party and remained in Menindee to care for the pregnant and sick camels which were left behind. He was also a member of Howitt's 1862 Victorian Exploring Party when he remained in Menindee to look after his injured friend Dost Mahomet. 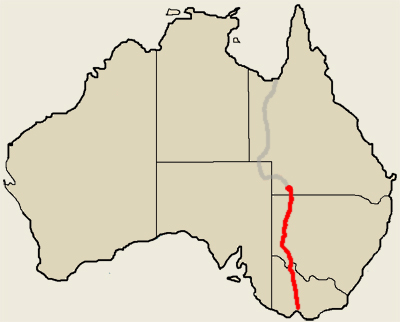 Baluch traveled upstream from Menindee as far as Brewarrina to investigate reports of stray camels. Baluch returned to Melbourne with Dost Mahomet and in July 1862 the pair requested the Exploration Committee pay for their passage back to Karachi via Kolkata. The Exploration Committee paid his salary up to 25 July 1862 and at a meeting on 12 August 1862 the Committee authorised the Treasurer to pay Baluch's passage to Karachi with P&O (Peninsular and Orient). By March 1863 Baluch was back in Australia, this time with his wife. He found employment in the Wimmera, minding the camels with his 'brother' Hassan Khan. Baluch's wife died in August 1863 while returning to India on a P&O ship. In 1865 Baluch and Hassan Khan joined Duncan McIntyre's Leichhardt Search Expedition. In 1881 Baluch was working for McIntyre on Dalgoenlly Station (SMH 19 February 1881). Around 1886 he arrived in Camooweal and reported he had found Leichhardt's remains.